Home»Coffee»Leftover Coffee – What else is there to do? Leftover Coffee – What else is there to do? Have some leftover coffee from this morning? It must not be Monday morning then. If you are into drinking cold coffee, then drink up. However, if you don’t, here are some useful ways you can use your leftover coffee rather than just pouring it down the drain. Get some ice trays our and pour the leftover coffee into each cube and then freeze. This is the best way to make iced coffee and the easiest and fastest way to use leftover coffee. Whenever you need a cool cup, just take them bad boys out of the freezer and dunk it into a glass of cold vanilla flavored almond milk. You can also create coffee flavored smoothies by adding some spices such as cinnamon or even cocoa powder. Making pot roast anytime soon? Well if you have leftover coffee, then make pot roast for dinner. Adding leftover coffee to your roast enhances the gravy. It makes the pot roast gravy much thicker and bursting in flavor. This is a tasty way to save your leftover coffee. Leftover coffee can also be added to soups or stews, as it can thicken the broth. Coffee gummies are a great snack-on-the-go and leftover coffee is perfect to make it. All you need is coffee, butter, coconut oil, gelatin and vanilla extract. Blend it in a blender and once it’s nice and frothy, put them into candy moulds and pop them into the fridge for about 20 minutes or up to an hour to set, and you’re ready to go. Plants such as roses, hydrangeas, rhubarb, blueberries, raspberries and azaleas thrive in soil that is a little acidic. Using coffee grounds would probably work best, but if you have some leftover coffee brewed, then water these plans with the leftover coffee. Want to get a little crafty? Leftover coffee creates the best way to stain paper to give it the aged look. Paint the paper with two coats of leftover coffee and allow it to dry. If you want it to darker, paint on a few more coats. You can also use leftover coffee to give wood that luxuriously deep brown. Adding leftover coffee and vinegar, you can stain your table or bench or shelve easily. Using leftover coffee to treat scratches on wood is a cheap way for a quick remedy. Slight scratches can be easily covered by rubbing coffee on it using a cotton ball. This not only covers up the scratch but it also brings a darker hue to the wood. Your leftover coffee can be added to muffin or cake dough mix. Then you’d have a coffee flavored muffin for breakfast or a coffee flavored cake to go for tea. 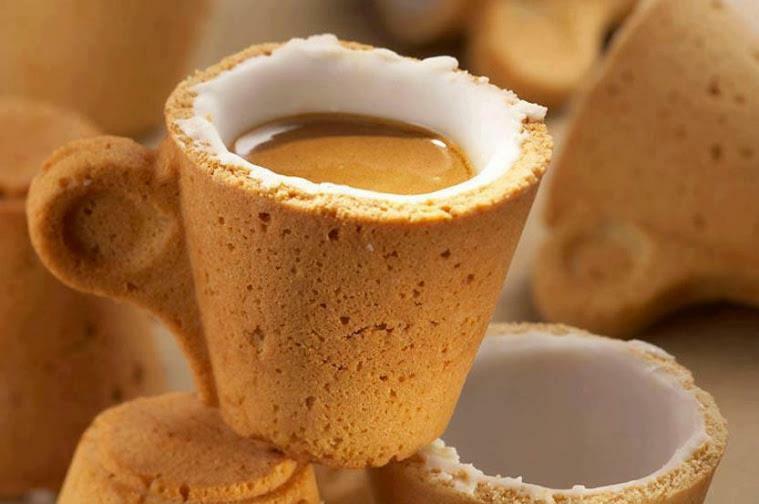 Oh, the possibilities are just endless with leftover coffee. Leftover coffee is a great way to bring some flavor to your homemade ice cream. The next time you are making ice cream, add in the coffee! Give your hair some natural TLC by giving it a coffee mask. Coffee not only softens your hair and adds some shine to it, it also darkens your hair. Make a coffee mask by adding two tablespoons of leftover coffee, one tablespoon of honey and a table spoon of olive oil. Mix this up nicely and then apply it to your hair. Put on a shower cap and let you hair sit in the mask to 15 to 30 minutes before rinsing off. You can also add leftover coffee to yogurt or heavy cream for a quick face mask. Coffee is known to tighten skin and reduce puffiness. Using leftover coffee (without milk preferably for this one) can darken clothing too. If you have a black clothing item that has faded, darken it again by soaking the fabric in coffee for a few hours. Rinse and dry and your clothes will look black again like new.